Welcome to the Classifieds Page. The listings below are not directly affiliated with AIMC Berkeley. If you have questions about any of the listings, please contact the author of the posting directly. If you would like to submit a job posting, ad, or other announcement for the classifieds section, please email your content to studentservices@aimc.edu. AIMC Berkeley is looking for a new Clinic Manager to join our team of administrators and educators. This is a highly responsible administrative position, which requires enthusiasm, self-motivation, excellent communication skills, and the ability to provide a high level of customer service. Licensed Acupuncturist Position in Inner Richmond, San Francisco. 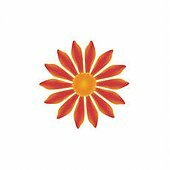 30 years well-established clinic looking for bi-lingual licensed acupuncturist and herbalist to join our small group practice. New practitioners welcome with training provided. Must be able to read details below before applying. Please feel free to call or email karenyouacu@gmail.com. Thank you. Full or part time space available in beautiful wellness center located in the heart of Dublin. Conveniently located between both 580 and 680 freeways. Our first floor wellness center has spacious treatment rooms and a large tranquil lobby with plenty of product shelf space. Come join our amazing team of wellness professionals that include therapeutic massage therapists, nutritionist, skin care and mental health professionals. This is a great place for anyone looking for a quite healing place to work! Gorgeous, spacious healing treatment room for rent in wellness space in Gerstle Park neighborhood, San Rafael. Room is available full time starting May 1st 2019. Ideal location with quiet neighbors perfect for massage therapist, body worker, chiropractor, acupuncturist, reiki / qi gong / energy healer, psychotherapist, MFT, EFT, Ayurvedic practitioner, hypnotherapist, spiritual coach and other healing / wellness practitioners. Space is shared with the owner, full time Acupuncturist who is working in the space Tues-Sat by appointment only. Looking for a like-minded practitioner who is respectful, honest, quiet and has or is looking to build a bountiful practice in the healing arts. The neighborhood is a 10 minute walking distance to downtown San Rafael and the building is nestled into the Gerstle Park neighborhood on the main thoroughfare of D St / Wolfe Grade. It’s a great, easy to access location that’s also quite serene and quiet! Any potential subletter must be fully licensed in their discipline and possess a valid San Rafael business license (or acquire one once they decide to accept the space). Part-time office manager/front desk needed in Mill Valley, CA at an acupuncture and wellness clinic. Work with a friendly doctor with more than 40 years of experience in Chinese medicine! Pays well. Candidate must be conscientious, a great communicator, detail oriented and flexible/adaptable to changing business needs. Good customer service skills and the ability to prioritize efficiently is required. Ideally, previous experience working as an office manager or receptionist and currently a student, studying TCM. Must be totally comfortable asking questions and requesting help or clarification when needed—and responding positively to feedback and instructions. Our longtime established Acupuncture and Functional Medicine office is currently looking for an acupuncture associate for our Huntington Beach/Fountain Valley Office. This practice provides care in a modern and comfortable environment. You can focus on practicing high-quality acupuncture. The professional staff and proven practice management systems allow the Acupuncturist to focus solely on acupuncture. The office is run very efficiently and expects its acupuncturist to do the same while retaining a high level of care and customer service. Whether you’re someone who’s just starting off in your acupuncture career or a seasoned provider, you’ll soon be on your way. Full or part-time. Help us with our mission to promote acupuncture, functional medicine and wellness in a modern business setting. 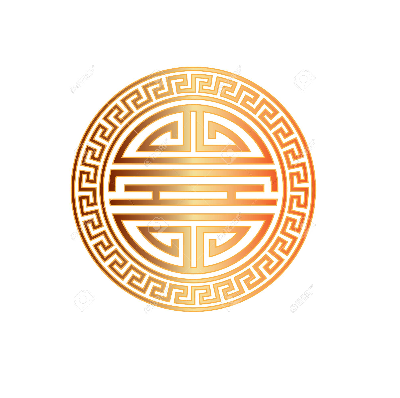 Great opportunity for an acupuncturist and Chinese herbalist to join an established successful Integrative Chinese Medical practice in beautiful Sausalito. We are Doctors of Chinese Medicine with 20 years’ experience, and authorized teachers in the Dzogchen Tradition of Tibetan Buddhism. California license and personal malpractice insurance required. Newer practitioners of 1-3 years welcome. Massage or Tuina experience a plus. *Interest in working with Veterans a plus. We provide a beautiful office environment, wonderful admin, insurance billing, and collaboration. Part time, 2-3 weekdays. Interested? 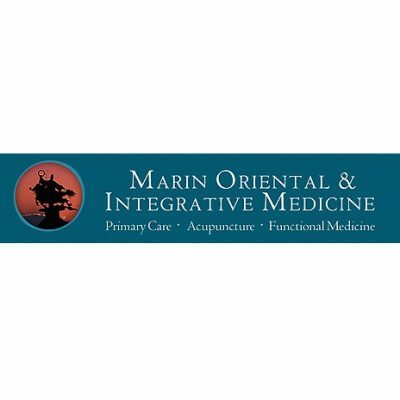 Contact evan@marinorientalmedicine.com with resume and letter of interest. 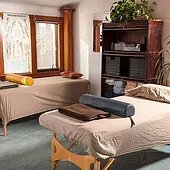 Treatment space to share for acupuncturist, massage therapist, body worker, energy worker, etc in beautiful ground level holistic health care office with an excellent central location in the Duboce Triangle/Lower Haight area. Acupuncturists, chiropractors, massage therapists, and a hypnotherapist/Reiki practitioner are presently in the space. We’re looking for professional, friendly and conscientious practitioners to join our multi-disciplinary office. 2 enclosed treatment rooms available all day Wednesday and 1 enclosed treatment room available all day Thursday, Friday and Saturday. 1 enclosed treatment room available half day Tuesday morning/early afternoon (until 2pm) and half day Saturday afternoon/evening (starting at 3pm). 2 or more days rental preferred, but one is okay. Rent is reduced by $25 for each day/space rented 2 or more days. $225 a month for 1 day a week per space. $425 a month for 2 days per week. $625 a month for 3 days per week. $825 a month for 4 days per week. $125 per half day or $225 for both half days. Includes shared use of waiting room, front desk and restroom. Clinic gets tons of natural light. Lots of foot traffic with many walk-ins. Great opportunity for inter-office referrals and collaboration. Located at 129 Fillmore @ Germania. Between Waller and Hermann. On the 22-Fillmore line and one block from the N-Judah and J-Church lines. Great street parking. Who we Are – Dr. Arellano is a graduate from Stanford Medical School and comes from a family of traditional Native American healers. He is also on staff at St. Josephs Health’s Queen of the Valley Medical Center. Dr. Arellano’s focus is in Bio-Identical Hormone Replacement and Natural Medicine. About the Center – The Gitali Institute thrives to create wellness internally and externally. We believe the key to a healthy lifestyle is through preventative medicine. 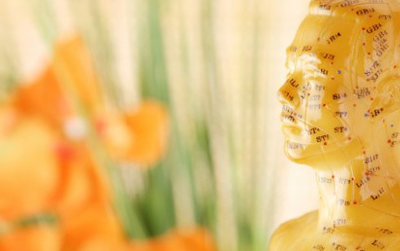 At The Gitali Institute we combine Eastern, Western and Alternative Medicine. We also offer a number of options for weight loss, skin care and injectables. The Gitali Institute is located at 2360 First Street in Napa CA, right off Highway 29. Great location for patients to be treated including private parking lot at no additional charge. Please take a look at our craigslist ad for more information. You will learn how to build and run a successful practice and have an opportunity to become an integrated practitioner working within a very successful clinic. We specialize in Oriental/ Functional Medicine using many western medical tests and natural treatment protocols. Must be excited to learn, motivated, energetic, wanting to work in an already successful practice. This program will allow you to be compensated by being able to use the office to see your patients without paying rent. In exchange you will be required to work with our business professionals to help you build your business. A financial percentage will be determined. We practice in a beautiful, modern, peaceful office, in a great location near Hwy 101 and the new Whole Foods in Mill Valley.  Be positive, genuine, and upbeat, be willing to make long term commitment. – Less than 5 minutes from downtown Nevada City. 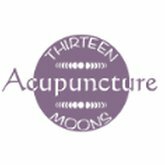 – In addition to acupuncture, I use moxa, cupping, gua sha, craniosacral therapy, movement therapy, and prescribe custom formulas. – I have an herbal pharmacy of 250 single herbs (primarily Legendary, KPC, and Classical Pearls). Some of the lesser used herbs may be expired. The total number of usable herbs in stock will be determined soon. Serious inquiries only please. Contact Renee at reneeklorman@gmail.com for more information. Modern Acupuncture is hiring for our Marin and San Francisco locations! Do what you love and enhance the lives of countless others. 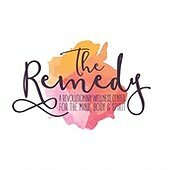 Join a community of wellness minded individuals on a mission to heal the world one tiny needle at a time. We handle all the marketing and admin so you can do what you do best, make people feel better! Graduate of an accredited acupuncture school. • Current California Acupuncture license. • Ability to make guests feel safe and comfortable during acupuncture treatments. • Exceptional time management and ability to treat multiple patients per hour. • Willingness to learn and implement new techniques and treatment protocols. • Confident and positive disposition. • 6 month commitment required. We are looking to hire a licensed acupuncturist to perform two different treatments in our growing clinic. One is Chinese medicine treatments, just like all of us do. The other is the West Berkeley Wellness Microcurrent Facial, a treatment I synthesized from various training I’ve had, and that requires coming to several one-to-one training sessions before providing the treatments to paying patients. We are seeking an acupuncturist who can work the following days: Sundays, Mondays, and Tuesdays starting as soon as possible (keeping in mind that prior training needs to happen), with the potential to add a fourth day in the future. Practitioners are required to work at least one weekend day since weekends are our busiest days. Our microcurrent facial is a 3-in-1 treatment, with the three parts interwoven: 1) 45 minutes of targeted microcurrent on the face, using probes to manipulate the muscles of the face and perform specific movements, 2) a constitutionally balancing acupuncture treatment using body points, 3) a facial with Eminence Organic skin care, which requires product application and removal. The microcurrent movements require a knowledge of the muscles of the face, which should be reviewed before the training if needed. It is a very thorough treatment, and the acupuncturist is in the room with the patient for the duration of the treatment. Follow-up visits are 1.5 hours, and initial visits are 2 hours. The training is free and unpaid. The trainings vary from 1.5 to 2.5 hours, depending on the learning pace of the trainee. The number of trainings required also depends on the trainee, and has varied between six and twelve. People with prior massage/bodywork experience tend to pick up the movements much more quickly, and people with no massage experience tend to require more training. We are willing to provide as many training sessions as is necessary. Pay is commission only and ranges between $47 and $99 per treatment, plus commissions on skin care and herbal product sales. 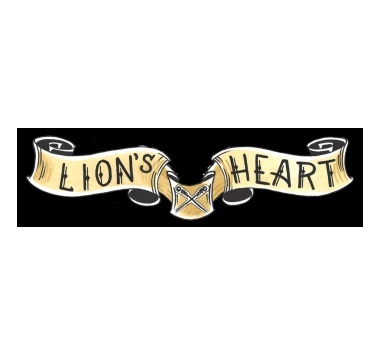 Our current staff is phenomenal but we’re currently a little too booked, so I’m looking for someone as skilled as they are to join our team so we can accomodate everyone who wants to be under our care. The microcurrent facials currently comprise around a third of our treatments. The majority of treatments are Chinese medicine treatments. We pride ourselves in providing comprehensive, thorough treatments and treat a broad variety of conditions including acute and chronic pain, digestive complaints, women’s health including fertility and prenatal support, allergies, insomnia, etc. Two years of experience in the field is preferred, and dedication to providing the very best health care is essential. Detailed SOAP notes are also required. Xiao’s Acupuncture is looking to hire a full-time or part time Acupuncturist. We are looking for a reliable, caring, honest, and enthusiastic candidate who is passionate about helping people. Our busy clinic houses 4 treatment rooms and an herbal dispensary. This is a great long-term opportunity for a new graduate to continue his or her training under an experienced practitioner in a fast paced work environment. Applicants must have graduated from an accredited school and hold an active license in the state of California. Personal liability insurance is also required. Successful candidates should be eager to learn and integrate new knowledge, communicate effectively and honestly, and be willing to participate in a variety of office related responsibilities. We are located at 400 Camarillo Ranch Rd. Suite 201 in Camarillo, CA 93012. If interested, please send a copy of your cover letter and resume to xiaosacupuncture@gmail.com. Feel free to contact us at this email with any further inquiries. Additional information about our business can be found at www.xiaosacupuncture.com and https://www.yelp.com/biz/xiaos-acupuncture-camarillo. 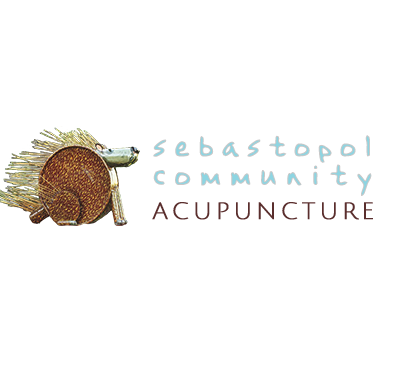 Sebastopol Community Acupuncture is hiring! and add shifts. Substitute shifts also available. We have a fully stocked herbal pharmacy, both granules and patents. While we value experience we are happy to train new practitioners. Well established thriving acupuncture practice available for purchase in the desirable seacoast Village of Arroyo Grande, California. 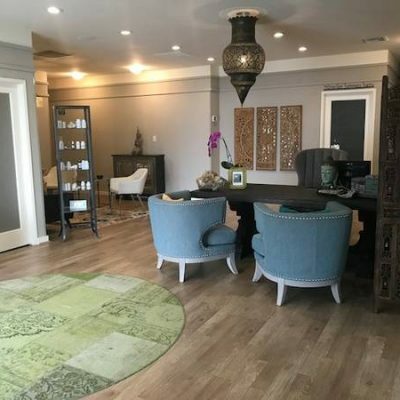 In addition to wonderful patients, there is also a beautiful space with multiple treatment rooms, room for small group classes, an area dedicated to an herbal pharmacy and a long-term lease available. Please contact Anthony at 805.602.2888. We look forward to hearing from you. 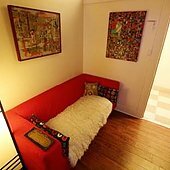 Room/rooms available for rent in a Holistic Clinic in San Jose, Close to downtown and San Jose State University. Terms are negotiable depending on the space to be rented and the days that need to be rented. ​Treatment space available for rent in quiet San Ramon location surrounded by trees. ​This space includes three rooms; 1 reception room and 2 private rooms. The office is located in a quiet location surrounded by trees. 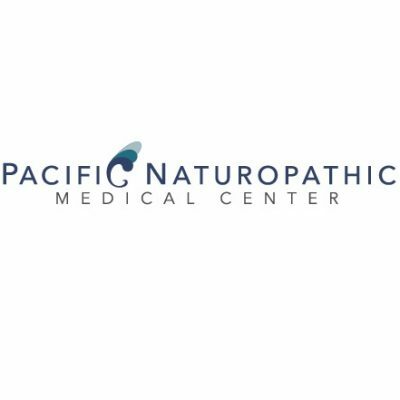 Established Naturopathic practice in coastal San Luis Obispo/Pismo Beach seeking another acupuncturist to join our team. We have been in the community for over 17 years and are located 1 block from the ocean. We have a large dispensary and full support staff, currently our team is a full time ND, part time acupuncturist and an IV nurse. Please send CV and questions to info@PacificNMC.com. We look forward to hearing from you. San Francisco Community Acupuncture is hiring. We’ve been open for over 11 years and have a solid base of dedicated patients. We’re looking for a committed, reliable, and fast learning licensed practitioner to join our team. 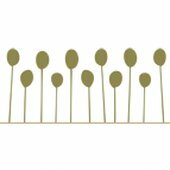 We’re looking for one acupuncturist for 2 shifts – Tuesday 8:30am-3pm and Saturday 8:30am: -4:00pm. Both are busy shifts and you’ll also have the opportunity to pick up more hours as a sub. Shifts are paid hourly with a generous bonus for busy shifts pay between $29-$38/hour. 4 patients per hour maximum with front desk support at all shifts. We’re willing to train the right person so if you’re fresh out of school we will consider you. We have a good sized pharmacy of capsules, granules and supplements so an interest in prescribing herbs and supplements is a plus. Spanish speaking a plus, also. Are you ready to step in and take over? Walk in the door to a fully furnished reception area, three treatment rooms fully-equipped and ready for you to see your first patient of the day. Everything you need to run your practice is provided, from office supplies, to treatment tables and sheets, from office equipment to treatment supplies like cups, needles, and liniments. It’s already set up and waiting for you – INCLUDING THE PATIENTS! It’s time for me to retire, you can benefit from my 20 years of practice with a great reputation, a good referral base, and a great location only 8 blocks from the beach. I’m interested in selling ASAP and I will be moving out-of-state. I work 4 days per week, and the average annual revenue over the past 5 years is over $90,000. This Grover Beach CA practice is priced for a quick sale at only $44,000. Interested? Please give me a call at (805) 773-3301. Root & Stem is hiring at our Harborside Health Center location! We are looking to add a licensed acupuncture associate to start asap Tuesdays and Thursdays from 2-7:30 pm. This is a new program offering both private sessions as well as sliding scale community sessions of up to 5 people per hour, in a beautiful treatment room separated from the sales floor at Harborside. The position is ideal for an acupuncturist that is interested in working in a cannabis dispensary and retail environment. We are looking for someone motivated to help market this new program, and educate Harborside patrons on the benefits of acupuncture. Compensation based per patient. Part-time $15-50 per hour. Our team is currently made up of two licensed acupuncturists practicing out of a beautiful space on Grand Ave. in Oakland near Lake Merritt. Join our team at the largest multidisciplinary Chiropractic Clinic in Walnut Creek! 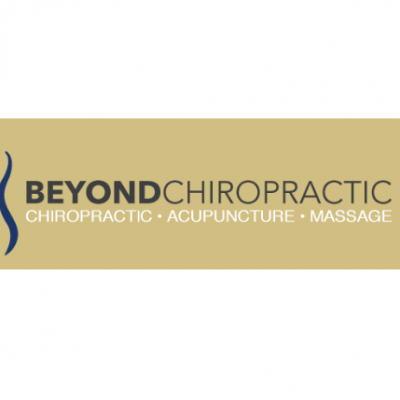 Please send your resume if you are interested for the position to angiebeyondchiropractic@gmail.com and then call the clinic at (925) 949-8911 to schedule an interview. Large office/healing space available for sublet in Pill Hill, Oakland. Warm and peaceful, the room has built in wooden shelves and desk, a sink, and lots of natural light including a skylight. The spacious hallway has chairs to function as a waiting space. Room comes with gated parking on a first come first serve basis, secure coded entry at the front door of the building, and WiFi. The space can accommodate small groups and could work well for many modalities. The room would be shared with acupuncturists and a massage therapist. It’s a third floor walk-up with no wheelchair access in a medically zoned building. Do you have a passion for Chinese herbal medicine? Does the idea of teaching others excite you? 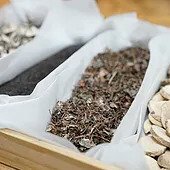 AIMC Berkeley is seeking qualified candidates with a strong interest in Chinese herbs to manage and run our herbal pharmacy! ​JOB SUMMARY: The TCM Pharmacy Director is responsible for the supervision and direction of multiple functions of the pharmacy, including but not limited to: inventory control, purchasing, student and employee supervision, accounting, pricing of items sold, maintenance and cleanliness of pharmacy, hiring work study employees and conducting their payroll, working closely as part of the clinic team with the Clinic Manager and Clinic Director. Treatment space available for rent in quiet San Ramon location surrounded by trees. Located on the corner of Solano & Stannage Avenue in Albany, CA. Studio Apartment with access to a beautiful backyard garden and redwood tree. Two blocks from Lake Merritt in the Adams Point neighborhood. Tree lined street in quiet neighborhood just around the corner from all the action. Use of backyard with redwood tree and gas grill, washer/dryer access in main house. 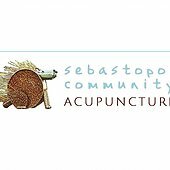 Sebastopol Community Acupuncture (SCA) is seeking a community acupuncture practitioner to join our high-volume, low-cost acupuncture clinic to provide patient services to people of ordinary income. 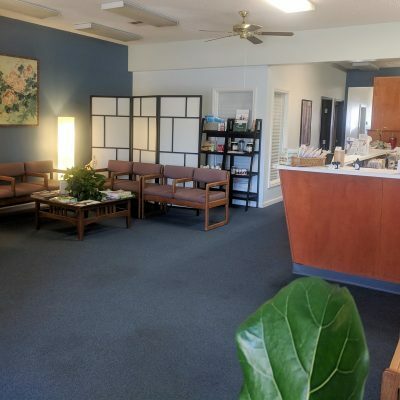 We are a busy community acupuncture clinic in Sebastopol, CA that offers all treatments in a group setting (big room full of recliners) with fees on a sliding scale of $20-40. 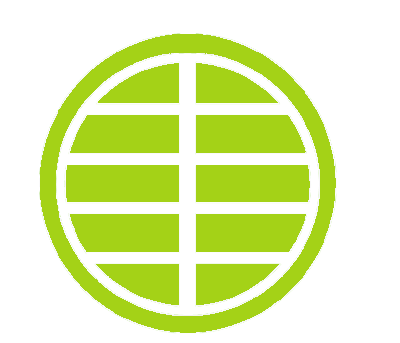 Our goal is to make acupuncture services readily available to people of all income levels. We are looking for an experienced musculoskeletal, sports-based Acupuncturist to join our healthcare practice. We have 2 rooms available and are looking for a therapist who is willing to see 2 patients per hour. 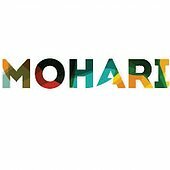 The therapist must be open to developing a model of care within the wellness membership structure Motus is providing in Jan 2019. Ideally, the therapist will provide a mix of traditional acupuncture with focus on stress reduction and meditative practices with a familiarity of sports injuries and other musculoskeletal complaints. We are completely out-of-pocket, so no insurance restrictions! 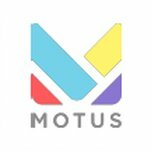 All Acupuncture patients will be provided by Motus. 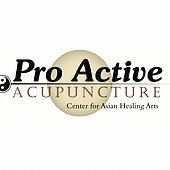 ProActive Acupuncture: Center for Asian Healing Arts has opened an additional office in Roseville, Ca and we are looking for an additional acupuncturist to join our practice. We are a high volume professional Chinese medical clinic that has been established for 13 years here in Sacramento. We are open seven days a week and accept medical insurance, workers compensation, auto injuries, and patients paying out of pocket. We are looking for practitioners who are willing to work in a team environment for the common goal of providing our community with the highest quality of care possible. ​Position(s) Available: Licensed Acupuncturist will be hired as an independent contractor on a percentage based income generated through acupuncture treatment and herbal/supplement sales. The Practitioner will be provided with full use of the facility including: treatment rooms, reception and waiting areas, break room, bathroom and kitchenette etc. All business operations will be provided for including reception support and insurance billing. This position is perfect for the Acupuncturist who doesn’t want the responsibility of running and operating their own business but wants to focus primarily on treatment and patient care. A great opportunity for a newly licensed practitioner! ​If interested, please contact Bradley A. Cimino L.Ac, owner of Proactive Acupuncture, directly at 916-476-0728 or email at bradley@proactiveacupuncture.com. For more information regarding our practice and services view our website www.proactiveacupuncture.com. Host Families Needed!! One Week Only!! Have you ever thought about expanding your opportunities for cultural and educational exchange? Do you love meeting new people and learning about new cultures? Do you have the heart to open your home to a student studying abroad? If you answered yes to any of these questions, my name is Sarah and I have opportunity for you!! 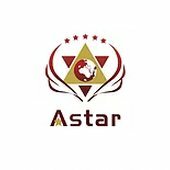 My organization, Astar Education Institute are seeking host families, for one week (January 27, 2019-February 3, 2019), for our students from China coming to El Cerrito High School. For each student placed, we will provide the host family $100, up to 4 students. In addition, hosting families will be offered a 14-day China trip, WITH ALL EXPENSES IN CHINA PAID BY ASTAR, for a middle or high school aged child, to satisfy our core value of mutual educational exchange! If you have it in your heart and home to host a student you can reach me at 703-368-6838 or email sarah@astarinstitute.org. We are moving quickly with securing these families and hope that you will be to assist us with this need. We have approximately 20 students that will need to be hosted and 20 seats on the trip to China. Thanks! 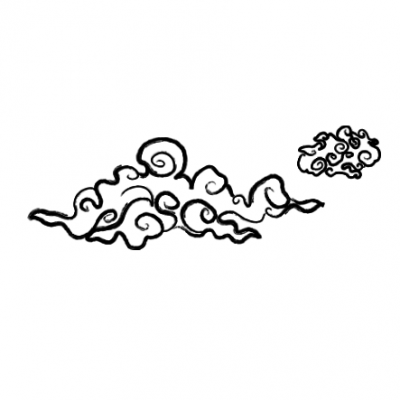 Acupuncturist: Ann Arbor. Newly licensed grads encouraged to apply! Family Room Acupuncture is a hybrid sliding-scale acupuncture clinic located in Pacifica, California dedicated to quality care for an affordable price. We offer a variety of treatments, including: community acupuncture, private appointments, craniosacral and reiki, as well as massage. We are looking for an enthusiastic acupuncturist to join our team. Experienced front desk staff. This means you can focus on what you do best – healing patients! The Alaska Center for Natural Medicine is searching for an acupuncturist interested in joining our growing practice in Fairbanks, Alaska. We are located 200 miles south of the Arctic Circle in a dynamic and diverse community of about 100,000 people, surrounded by wilderness. Fairbanks has world class outdoor activities as well as a full complement of urban amenities. Alaska has a high demand for medical practitioners and therefore has some of the highest reimbursement rates in the country. Insurance coverage is common and Fairbanks population is growing. Working at the Alaska Center for Natural Medicine is an opportunity to live in an exciting place and make ample money at the same time. 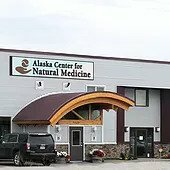 Applicants please email your resume to acnm@alaskacenterfornaturalmedicine.com or go to our website at alaskacenterfornaturalmedicine.com and apply online. 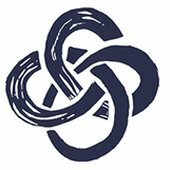 San Francisco Community Acupuncture is hiring! 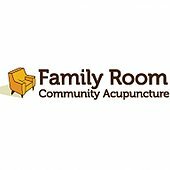 We’re currently looking for a part time acupuncturist for our Community Room. We have several shifts coming up. 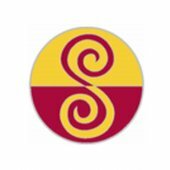 San Francisco Community Acupuncture is currently looking to fill one shift seeing 2 patients per hour. Massage experience is required. Spanish speaking is helpful but not required. Sublease available ($975) in Chiropractic office. 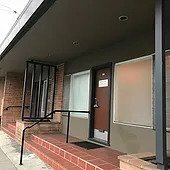 Begin or expand your Acupuncture,Chiropractic, Naturopath or Massage practice in a beautiful holistic chiropractic office on Piedmont Ave. in Oakland. Our office is on the ground floor in a quiet area. A friendly receptionist will great your clients, where they can wait in our welcoming reception area. WiFi, utilities, and janitorial services of the office area included. There are a total of two treatment rooms in the space along with a reception area. There is one treatment room available Monday through Sunday. Please send inquiries to lisakoenigdc@gmail.com. Include your name, the name of your business/practice, and your website. Community Acupuncture of Marin in Novato is hiring. Our after-work crowd needs your presence and skills on Mondays, Wednesdays and Fridays in the late afternoons. 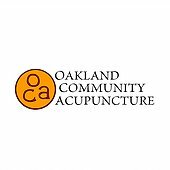 Oakland Community Acupuncture is looking for an office intern who has a shiny and welcoming personality; has some world experience outside of the US; is interested in Eastern Medicine from the perspective of orthopedics, internal medicine, nutrition, GI, headaches, and/or cancer support; and is good with numbers/computation. Intern responsibilities include answering the phones, collecting the payments, scheduling patients, helping with superbills, and maintaining basic functioning of the clinic (filling water filter, cleaning cups, etc.). In return the intern would be allowed to watch the treatments when appropriate, learn from the clinical environment, get their questions answered, have the experience of running a practice (including insurance billing which will begin in january), and get paid $10/hr. Ideally the hours would be Tuesday/Thursday for 8hrs. each. The times are flexible, but would be around 9am-1pm and 3pm-7pm or some variation of that. Monday/Wednesday are also possible shifts and we’d be happy to have that. This may also be a position that can be shared by 2 people. 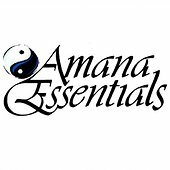 We are looking for another healer to join our team of Acupuncturists and Massage Therapists at Amana Essentials. Located in the heart of Historic Downtown Woodland, we have been serving the residents of Yolo County since 1989. You must hold a current license to practice in the state of California. The position is full or part time, hours to fit your schedule. Pay is commensurate to education and experience. East West Acupuncture Center is expanding, and has a unique opportunity for an acupuncturist. 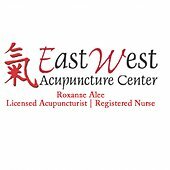 East West Acupuncture Center is seeking a practitioner to join the practice who wants a long term career pathway. An individual who is dynamic, hard working and compassionate. Someone who is willing to learn how to run a successful acupuncture business, with the possibility of profit sharing and maybe an eventual partner. This is an employee benefited position, starting with 20 hours per week. With the goal of 40 hours a week within 2-4 months. Vacation relief for the other acupuncturist is also expected. Position available Looking for an acupuncturist who is willing to work Saturdays. The schedule would start out Thursday evenings through Saturday afternoon to start, gradually increasing in hours. The practitioner should have strong orthopedic knowledge and Women’s health. Also must have a good work ethic and be efficient yet friendly. Duties would not only include treating 8-12 patients a day, but also light clerical duties such as answering the phone, scheduling follow-up appointments, etc. Roseville is a suburb close to Sacramento. East West Acupuncture Center has been in Roseville for 17 years. It has an excellent reputation in the community with many referral sources from other health professionals in the area. East West Acupuncture Center is in a quiet business park, tucked in front of a lovely waterfall. The office has a Zen like quality with an open feeling. There is an herbal and supplement pharmacy. This office is not a high volume one. The philosophy is quality over quantity. All new patients receive a comprehensive intake, and feel like they have really been listened to when they leave. While being knowledgeable is very important, the most important qualities here are; kindness, friendliness and a genuine interest in the well being of others. 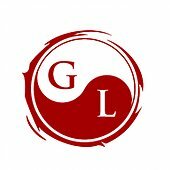 G&L Acupuncture and Wellness Center in Portland, OR is looking for eager acupuncturists to join our team who want to work hard, learn, and grow. A willingness to work hard, learn, and adapt is required to succeed. A deep passion for helping people is a must. Must be willing to relocate to Portland, OR, become a licensed acupuncturist in the state of Oregon, and have NCCAOM certification. We are an established and thriving group practice of acupuncturists and massage therapists. 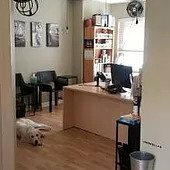 At our clinic we provide invaluable training, all facilities and supplies, professional front and back office support, and a great team to work with. We handle all scheduling, insurance, and billing so you can focus on what you do best: helping people. Full and part-time positions are available. Employment type is employee and pay is based on experience and negotiable. We can assist in applying for work visa if needed. To apply for this position, please send your resume to hiring@gandlacupuncture.com for review. 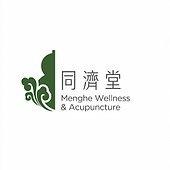 Menghe Wellness & Acupuncture is looking for an energetic, creative, and enthusiastic Licensed Acupuncturist for their wellness clinic in San Mateo. This is a great position for candidates looking to make a significant impact in our flagship clinic where all the best R&D and business development activities are happening! We are looking for an acupuncturist who is dedicated and enthusiastic about community acupuncture to work one regular with the potential to add more shifts in the future and fill in as a substitute. We have a Sunday morning shift currently available. 4 patients per hour max with front desk help at all shifts. Consistent hourly rate. – Friendly and welcoming and passionate. – Able to cultivate and retain regular patients. – Quick, authentic connections with patients. – Knowledge of distal points for pain a plus(Tan, Tung style acupuncture). – Self-motivated and able to work independently. – Flexibility to cover other shifts as needed. – Spanish speaking a plus. – Massage experience a plus. ​Please contact us at missionsfca@gmail.com. San Francisco Community Acupuncture is Currently hiring for Front Desk! We have a weekly shift available on Sundays from 9am-5:30pm with a 1-hour lunch break from 12:45-1:45. We are looking for a friendly, committed and reliable person to greet patients, make appointments and keep the flow of the day moving smoothly. We are asking for a minimum 3-month commitment and there are frequent opportunities to pick up other shifts during the week. Perks include one free community acupuncture a week for as long as you work here and a discount on herbs. amazing job in their craft and participate in all aspects of our wellness center. ​For independent contractors who provide service, compensation is a flat rate per person treated. The therapist can expect to grow their clientele through collaborative marketing efforts, our strategic location, and cross-referenced patients. for an additional cost. Interviews are required to assure a good fit. Education, Ecstatic Practices and more. ​Located 2 ½ hours drive from San Francisco, Lake county is known for its beauty with one of the largest lakes in California. It is quiet and the cost of living is low, attracting more and more people from the Bay Area. Holistic studio in Mission of SF available! This office is perfect for a multitude of healing modalities; energy worker, Ayurvedic practitioner, coaching, massage and/or acupuncture. There is a lot of street traffic on this block. The office is quiet, pristine, naturally lit and waiting for your high quality service to fill it up. The office space has two rooms (one reception area and one treatment room) beautiful floors, and lovely decor with comfortable seating. Bart access two blocks away; affordable parking for your clients in a garage 1.5 block away located at Bartlett and 21st. Built in 1904, this landmark building offers turn-of-the-century-charm evident in its dramatic imported marble entrance way and carved wood stair rails. Completely remodeled office suite for rent in the Francisco building on Mission Street at 21st across from Chase Bank and Vanguard. This part of the Mission is bustling, thriving and vibrant. The room has a massage table, table warmer, blankets and pillows. If using the massage table – you need to provide lotion or oil and clean your own sheets. There’s a clean bathroom shared with the other offices in the building. Example – if you are interested in Mondays = $300/month = every Monday of the month. * Note: hourly rentals not available. A busy and dynamic acupuncture clinic in Omaha, NE is in search of a passionate Chinese Medicine practitioner who is ready to step in and start seeing patients immediately. The ideal candidate possesses the proper credentials, is professional, dependable, communicative, and wants to work in a patient-oriented setting with a passion for fertility. Must be willing to commit and settle in! Specifics of the position, including schedule and pay may be discussed and negotiable. Newly founded and locally owned Community Acupuncture Clinic is seeking flexible and licensed Acupuncturist to bring affordable and holistic to Clarksville and the surrounding areas! This position is for a recently licensed Acupuncturist or an existing Acupuncturist looking for a fresh start with a new clinic. ​Part-time position that could quickly grow into Full-time. You have the opportunity to provide acupuncture in a community that is close to the Kentucky boarder, Ft. Campbell and Land Between the Lakes. Nashville is quick 50 min drive and the clinic overlooks the Cumberland River! Clarksville has the perks of a city with more of a small town feel. The community here is open to holistic healing and will greatly benefit from Community Acupuncture. 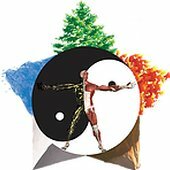 Energy Matters Acupuncture is seeking an enthusiastic team member! Small office environment with a broad range of light duty, office work. ​Rate $14-16/hour. Rate commensurate with experience. Benefits include: sick leave, monthly acupuncture treatments, monthly herb/supplement stipend plus discounts. Growth opportunities available. People of color and LGBTQ+ individuals highly encouraged to apply. Marie Bowser, L.Ac. is seeking a part time office assistant to support the administrative and patient management of the practice. ​Please click below for more details about the position and how to apply. 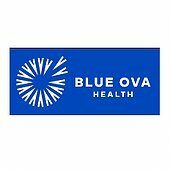 Blue Ova is a leading clinic in San Francisco specializing in fertility, pregnancy and postnatal care. Our team is made up of positive, inspiring and grounded people with a love for what we do. We are fully supported by a wonderful office staff and have five private treatment rooms. We are seeking to hire a highly personable and motivated Acupuncture Associate to begin in August/September. Candidate should have a passion to work in women’s health, experience in treating fertility, pregnancy and post-natal patients, and a desire to grow in this field. This position involves working three days per week (Tuesdays, Wednesdays & Thursdays, from afternoon into evening). To learn more about our team and center visit our website: blueova.com. Golden Summit Acupuncture at 2929 Summit Street, Suite 102 in Oakland has a few days available for rent for an acupuncturist or other practitioner/body worker. 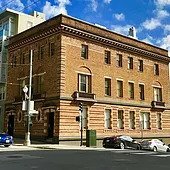 Located in “Pill Hill” area of Oakland, our office is situated amongst multiple other medical offices and hospitals, Summit and Alta Bates are within a couple of blocks. There is plenty of paid street parking within 1-2 blocks. On a rare occasion, you or patients may have to park 2-3 blocks away, but that is very rare. Approximately 850 sq ft, we have 3 treatment rooms, a front and back office, an herb/supply room, and a tea area with a small fridge. We’ve just recently updated paint colors and furnishings and it has a very warm, inviting feel. This has been a successful healing space for 15 years. 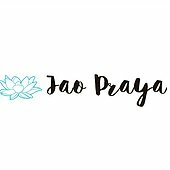 Jao PraYa is dedicated to building healthy, happy workplaces through Traditional Asian Medicine (TAM). We are a Startup established by TAM practitioners and are launching this summer in the Bay Area. As Traditional Asian Medicine Providers, our strong belief in the power of the medicine informs our commitment to heal, foster, and create healthy communities. Help us launch a new era of healing and build this movement together. 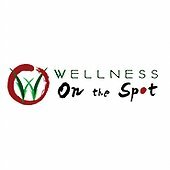 Wellness On the Spot has opportunities for qualified massage practitioners and acupuncturists with massage skills, we are committed to your success and growth. We operate full time chair massage Relaxations Stations in health oriented markets where customers enjoy a 10-30 minute chair massage session ranging from $15 – $45. This is an amazing independent contractor opportunity to build a following while also growing your private practice from customers who enjoy your chair massage sessions. We rent the space flat rate per month for your weekly recurring shifts 4-8 hours a week and you collect all money from your customers that you keep. When you rent the space you are operating your own business while renting, and you are managing your own business by carrying a city license that allows you to legally do so because you are collecting money from customers who pay you directly … in addition you are required to carrying insurance coverage. The rental space is fully set up with massage chair and all supplies, great foot traffic and a healthy safe environment with delicious food at a discount while you are working at the location. If you want a regular place to meet clients to grow your practice while customers enjoy and pay you for your chair massage sessions this may be a perfect fit for you. To receive a call from us to set up an interview you will need to fill out a WORK OPPORTUNITY form found by clicking below. We look forward to helping you grow and prosper. We are a busy community acupuncture clinic in Sebastopol, CA that offers all treatments in a group setting (big room full of recliners) with fees on a sliding scale of $20-40. Our goal is to make acupuncture services readily available to folks of all income levels. Dragon Rising Chinese Medicine is a well-established Chinese Medicine and Acupuncture clinic in the Sacramento area since 2004. Our main office is located in Fair Oaks with a satellite office in Rancho Murieta. We are a high-volume clinic seeing approximately 140-160 patients per week. Two years ago, our second acupuncturist came on board and was seeing 35 patients per week in just a couple months. She now works approximately 20 hours per week seeing 50-60 patients per week. Earlier this year we opened the office to patients on Saturdays and immediately filled the schedule. We are seeking a licensed acupuncturist to join us as an independent contractor. That person will be paid a flat rate per patient and should expect to get busy quickly! There is a fantastic opportunity for growth at our clinic. We are in the process of reviewing an opportunity to open a third office in East Sacramento and know we have a proven business plan that works. Please contact Bob McCallister, LAc. 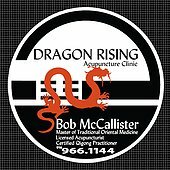 at 916-966-1144 or email bob@dragonrisingacupuncture.com. You may also visit our website at www.dragonrisingacupuncture.com for more information. Looking for a dynamic individual. 3rd/4th year TCM/ L.Ac. student or postgraduate student. Rare opportunity to join and progress with a fast paced/ growing modern professional TCM practice located in Central California Valley. What is unique about our medical practice? – Established 1994. The first of Acupuncture/ TCM clinic of its kind and continues to be the largest in the Central Valley. -Acupuncture & TCM healing arts clinic with extensive On-Site Herbal Pharmacy/ Apothecary, both over-the -counter teas and prescription areas. -Chinese Medicinal Herb Garden and opportunities for organic farming. -Public education and awareness series on TCM. Workshops and classes open to the public. Opportunity for teaching. -Teaching Site for conventional medicine doctorate students/ elective clinical rotation in TCM from affiliated universities. -Provider of CME (continuing medical education) to physicians. -Stand-alone building with private parking lot. Feng Shui environment. -Asian Cultural Society. Non-profit subsidiary of the Center. Opportunities to learn Chinese cultural arts and overseas travel. -Autism Spectrum Society. Non-profit subsidiary of the Center. -This is a non-paid position. A minimum of 3 days a month with 1 year commitment. 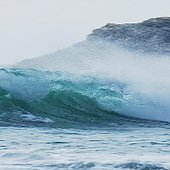 -Candidate must be willing to participate in community projects pertaining to TCM/ Acupuncture as well as a desire to follow/ learn proprietary techniques to help facilitate the growth of our medical practice. – This program comes with learning objectives. Therefore serious candidates only. – Proficiency in English is require. – Candidate must be in good standing with current TCM/ L.Ac. school with a minimum GPA of 3.2. – Must be able to lift at least 25 lbs if needed. -2 letter of recommendations. At least one from TCM/ L.Ac. school. Great position for new grads. You’ll have the opportunity to learn all aspects of running a clinic from using EMR, accounting, scheduling, marketing and more in a mentorship position. You will gain experience working on multiple patients at once and we offer training in the Balance method. We are a 501c3 non profit community clinic in beautiful Point Reyes Station. We offer community style acupuncture on a sliding scale $25-45. This clinic is a perfect fit for someone who wants to be involved in the community and sees the value in building intimate connections with their patients. Currently seeking someone to work 2 shifts per week (approx 10 hours) with the opportunity to pick up more shifts sporadically throughout the summer. Must be willing to work one weekend day. This position has the potential to lead to full time employment which would be eligible for Loan Forgiveness through the Public Service Loan Forgiveness program. Must have malpractice insurance and current CA license. Please send resumes and cover letter to westmarinacupuncturecollective@gmail.com. Share 250 sq ft clinic suite with an AIMC alum practicing Japanese style acupuncture and focusing on women’s health and fertility. Our floor is all therapists and other related medical practitioners (nurse practitioners, psychiatrists, etc) and there is an osteopath and a dentist in the building. The office is available all day Tuesday, Saturday, and Sunday and I’m looking for the right practitioner first and foremost, but ideally you would want the office on at least two days (your hours are up to you as we wouldn’t overlap on the same day). $250 per weekday per month (so just Saturdays would be $250 for a month) and if you are taking multiple days we could discuss a discount. Ideally a complementary style so we would feel comfortable referring to each other. Open to variety of modalities (not just acupuncture). We’re allowed to do moxa here! Would love to have someone who does abdominal massage, craniosacral, tuina, etc. Shared waiting room on the floor for all practitioners with tea and water for our clients. ​Volunteer with Charlotte Maxwell Clinic, a state licensed primary care clinic, to provide free acupuncture, acupressure, or Chinese herb treatments to low-income women with cancer. Connect with over 200 volunteers who provide services like massage, lymph drainage, guided imagery, western herbalism, guided imagery, reiki, homeopathy, nutrition and exercising counseling at our clinic. Charlotte Maxwell Clinic has over 26 years of experience providing integrative medical treatments. We offer volunteer orientation, training, and other volunteer educational opportunities. Charlotte Maxwell Clinic is one of the only places in the Bay Area where women undergoing the terrible rigors of cancer and poverty will be touched with kindness, compassion and skill. 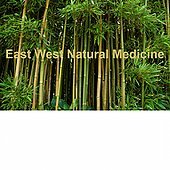 East West Natural Medicine in Pinole, CA is ready to hire a full-time acupuncturist. This small (6 stations only) clinic has been open since mid-May, 2017 and is privileged to introduce acupuncture to several East Bay communities. You must be licensed and insured for acupuncture in California. Experience is less important than willingness to learn. We are open five days a week and wish to expand our hours. 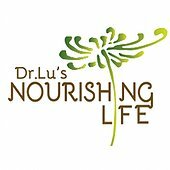 We are looking for people who have a genuine interest in healing energetically and nutritionally, although formal nutritional training is not necessary. You must have an overview that enables you to work swiftly and efficiently during busy times and slow times. Attention to detail and strong work ethic are a must. Familiarity with Community Acupuncture principles is important. Must have prior work experience in customer service, and able to use a computer. Must live in the area or planning to move to the area. Long commutes here do not make for happy punks. Eventually we’ll need help with administrative and/or marketing tasks to maintain a team environment and help the clinic grow. At least a year commitment required. Assignment of shifts is preceded by training periods, until the trainee is ready to meet patients independently. Over time, salary and benefits intended. Please email over a recent resume with your CA license number and a cover letter describing why you are looking to settle into the work of a POCA Community Acupuncturist to Lumiel at info@ewnaturalclinic.com. No phone calls please. 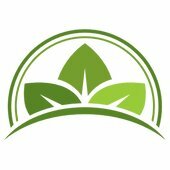 ​We are a growing integrative health center based in Santa Rosa, CA that offers acupuncture, naturopathic medicine, massage therapy, medical qigong, and forest therapy walks. 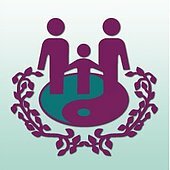 ​The Company: Flourish Integrative Health specializes in fertility treatments, women’s health, pregnancy, family medicine, and emotional balancing using a variety of healing techniques and is known for the great care we take with patients and employees alike. 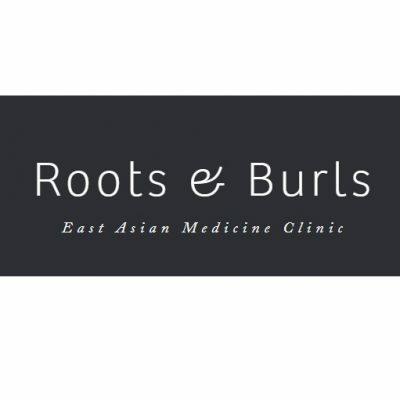 The Position: We’re looking for an Acupuncturist to start in April with half a day a week, as well as subbing for two existing acupuncturists, then working up to one or two days (possibly more) in July. One to three years’ experience of licensure preferred, but open to a recent grad if it’s the right fit. 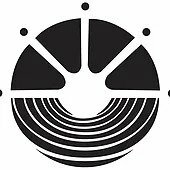 Berkeley Acupuncture Project is hiring part-time front desk staff. A knack for customer service, attention to detail, comfort in a fast-paced setting, and interest in supporting a busy community acupuncture clinic are desired. ​Please email the front desk manager, Pamela (makeneedlesnothangers@gmail.com), with resume, availability, and any questions. Acupuncturist Needed in Alaska - New Grads Also Welcome! 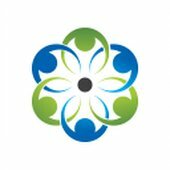 Ancient & Modern Pain Solutions is looking for an outgoing, motivated, friendly, humble, detail-oriented leader to fill an Acupuncturist position in Wasilla, Alaska. As the Acupuncturist you will be responsible for conducting diagnostic investigation; creating, following through with, and recording treatment plans; directing and instructing your very own assistant​; and interacting with patients, staff and other providers in a professional manner. We provide an opportunity for you to focus on patient care instead of running a business. 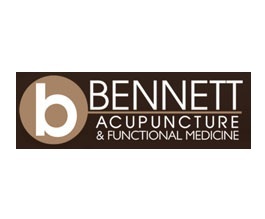 ​Position Available: Licensed Acupuncturist will be hired as an independent contractor on a percentage based income generated through acupuncture treatment and herbal/supplement sales. The Practitioner will be provided with full use of the facility including: treatment rooms, reception and waiting areas, break room, bathroom and kitchenette. All business operations will be provided for including reception support and insurance billing. This position is perfect for the Acupuncturist who doesn’t want the responsibility of running and operating their own business but wants to focus primarily on treatment and patient care. A great opportunity for a newly licensed practitioner! Looking for an acupuncturist interested in running our Community Acupuncture Clinic. We are a wellness center located in downtown Martinez. Our acupuncture clinic is open every Wednesday from 4pm-7pm, with future potential for a weekend day clinic as well. Position is based on a commission split. Immediate start date. We are seeking an acupuncturist to join our wholeness center to help support the health of a thriving community of women. 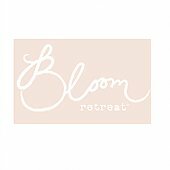 Bloom is a wholeness center, meaning we support women—body, mind, and soul—and help them heal, empower them to grow and bit by bit put back the broken pieces so that they can remember who they truly are – and then bloom. to serve. We handle all of the logistics from marketing, front desk administration, bookings (online and in house), credit card processing, billing, transactions, and business growth. Our space is stunning, clean, and feels much like a home (rather than a white-coat medical office). We have two beautiful treatment rooms for your use, plus a “living room” for you to relax and work in between clients. ​To learn more about Bloom and this unique opportunity, please click the button below.